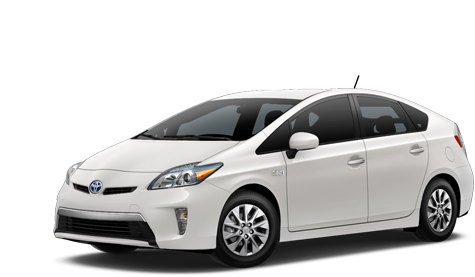 In 2014, we purchased a Plug-In Prius Hybrid. Since then, we’ve been dutifully plugging it in every chance we get and loving whenever the display shows we got 999 MPG for our trip. But from an economical perspective, it doesn’t make financial sense to pay to charge the car, especially given current gas prices. First, the Prius’ 4.4 kWh lithium-ion battery yields at most 11 miles per charge. By comparison, the Prius’ hybrid electric drive gives 50 MPG. So, it would take 1/5 of a gallon of gas to go approximately 11 miles. At $2.50 per gallon, that 1/5 of a gallon of gas costs $.50. Our local utility’s (PG&E) standard residential rate (E1 XH) charges $.15 per kWh to $.26 per kWh. So, to charge the Prius’ 4.4 kWh battery would cost anywhere from $.66 to $1.14. At $2.50 per gallon gas, it is cheaper to fill up rather than charge up. Electricity would have to cost no more than $.11 per kWh, which, unless you’re generating your own, will never happen. At $3 per gallon gas, fill up rather than charge up. PG&E’s Tier 1 Usage rate as of 2014 ($.15 per kWh) is higher than the equivalent gas cost: $.14 per kWh. At $4 per gallon gas, the curve inflects such that you should charge your Hybrid EV if the electricity is cheaper than $.18 per kWh (PG&E’s Tier 2 Usage rate as of 2014). At $5 per gallon gas, charge your Hybrid EV if the electricity is cheaper than $.23 per kWh (PG&E’s Tier 3 Usage rate as of 2014). In sum, until gas hits $4 per gallon, gas up instead of charge up. This is a purely marginal cost calculation that ignores environmental externalities, like the harm to the environment from using gasoline and the time/hassle of going to a gas station more often. Shirish Gupta is an award-winning mediator and arbitrator with JAMS. Shirish studied economics at Berkeley and the University of Chicago and isn’t afraid of math. Book a mediation with Shirish.